In early March, the legislature unanimously passed the Protection of Public Participation Act. It flew mostly under the radar, but the law means that nearly three-quarters of Canadians will have some protection from abusive lawsuits some companies use to quell criticism. This type of lawsuit is generally known as a strategic lawsuit against public participation, or SLAPP. Companies rarely expect to win, but they have money to burn on litigation that makes life harder for advocacy organizations critical of their practices. B.C. joins Ontario and Quebec as one of only three provinces with anti-SLAPP legislation. But the new protection in B.C. is bittersweet. Why? Determined bullies can still target B.C. residents in jurisdictions where no anti-SLAPP laws exists — most Canadian provinces and territories — and the new law does not apply to lawsuits launched before May 15, 2018. Before Ontario passed its anti-SLAPP law, Montreal-headquartered logging giant Resolute Forest Products launched a $7-million defamation case against Greenpeace Canada and two staff members who criticized its impact on threatened wildlife habitat. While this case is ongoing, a California court recently threw out racketeering allegations and more than 290 defamation charges Resolute brought against Greenpeace International and others under laws designed to prosecute the mafia. This is not the only example of a company using litigation to try to play the “victim” of civil society watchdogs and activists. Last month, a North Dakota judge dismissed a $900-million case by Energy Transfer, builder of the Dakota Access pipeline, against Greenpeace and other groups. The lawsuit alleged that the same anti-mafia laws applied to the involvement of civil society groups in supporting Indigenous-led resistance at Standing Rock. The judge did not agree. Abusive litigation became a standard weapon in companies’ arsenal in the 1990s. What distinguishes today’s SLAPPs is the way in which companies are painting themselves as victims of a behemoth environmental advocacy industry, even while their corporate budgets dwarf those of non-profits. David’s clothing doesn’t fit Goliath particularly well. Despite attempts by companies like Resolute and Energy Transfer to take up the underdog mantle, the courts are calling them out. The relief from such wins is welcome, but short-lived. Intimidation lawsuits often hit their mark: putting mental stress on targeted individuals, financial stress on organizations, and stopping wider communities from speaking out about corporate misbehaviour. Since recent court rulings, Resolute threatened legal action against elected officials in the northern Ontario town of Fort Frances, when council raised concerns that the company may be unfairly excluding it from local forestry benefits. Fort Frances can use the provincial anti-SLAPP law to protect itself against Resolute’s intractable bullying, but one in four people in Canada still do not have adequate legal recourse against SLAPPs. Some companies are used to spending their money and influence to try to get what they want or bully critics into silence. But it’s getting harder to do this. The global climate action movement, rising Indigenous resistance to development without consent across North America and changing international standards of corporate social responsibility are upturning the rules of the game for Wall Street and Bay Street. Increasingly outrageous and desperate SLAPP-style tactics tell us that companies have noticed the change but don’t plan on going down without a fight. That’s why it’s so important that remaining provinces and territories follow the lead of Quebec, Ontario and B.C. At a time when the planet’s climate is changing dangerously and biodiversity is in crisis, we all have a role to play in safeguarding the environment for future generations. The law should help us do this, not hinder us. Provincial governments should make sure of it. Closing the legal loopholes that leave Canadians vulnerable to SLAPP suits is a fundamental part of that solution. 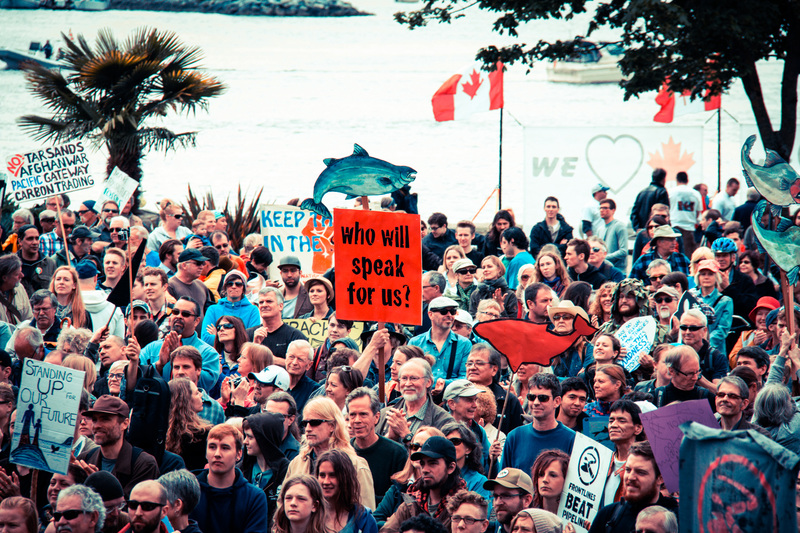 Jessica Clogg is executive director and senior counsel of West Coast Environmental Law Association; Christy Ferguson is acting executive director of Greenpeace Canada.